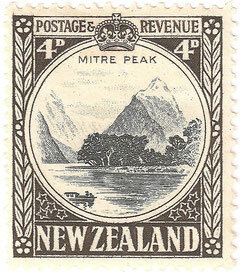 4d Mitre Peak - New Zealand Stamps, A 1935 Pictorial overview. 4d. 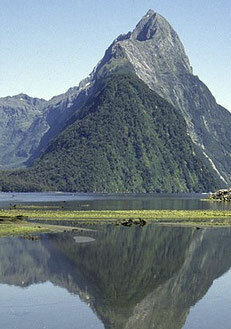 Mitre Peak at the head of Milford Sound in the South island. Native Manuka or Ti tree is represented in the borders and the Southern Cross of stars grace the lower frame. 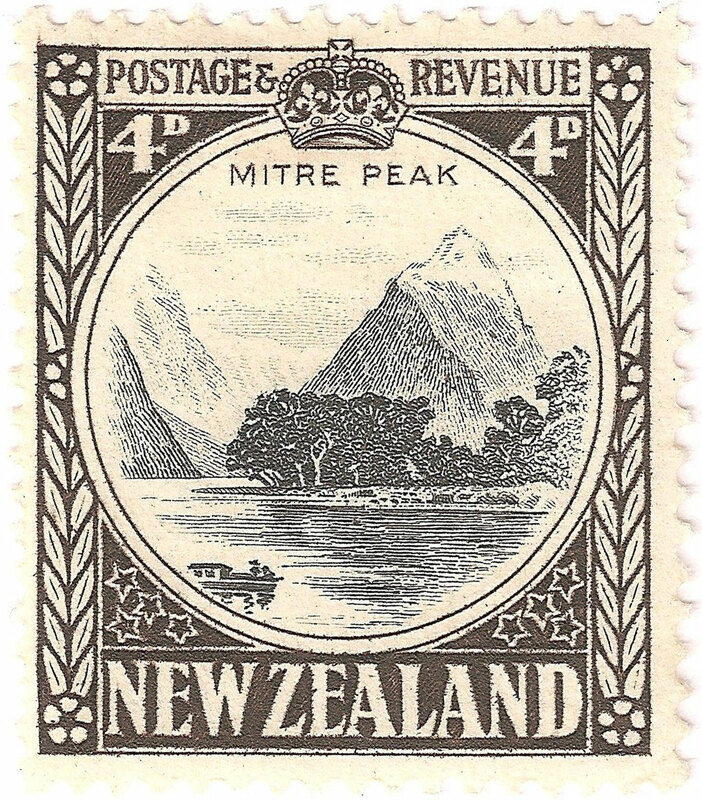 Design by J Fitzgerald.